For myself, I think keeping an open mind (#3) and admitting your mistakes (#5) is extremely important and something I need to continuously work on. 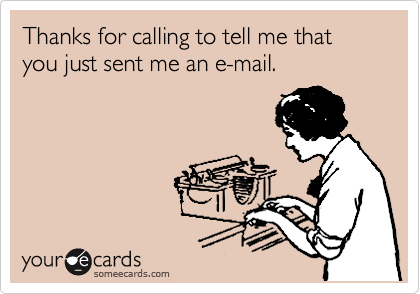 Another struggle I face as someone who grew up in the tech age is picking up the phone rather than emailing them (#7). It seems like second nature for me to whip off a quick email rather than sit and call someone but I’ve definitely learned during my time with Cantrav so far that it is much faster and much easier to clear up any misunderstandings or acquire that info that you desperately need. Thanks for the head’s up! It looks like some of the images are not loading properly for whatever reason. I will fix asap!